Home ... The Council ... CCC ... Herne Bay developments up in the air? So I “took one for the team” and spent the day at the Local Plan Public Inquiry at Herne Bay, a day I’ll never get back. I managed to elbow my way through the crowds (!) to get a front row seat, which turned out to be a shrewd move – the acoustics were appalling. On the (carried forward) issue of the adequacy of CCC’s consultation, the Inspector has given all and sundry until the end of this week to submit their further thoughts, and has given CCC until close of play on Wednesday of next week to reply. The three Herne Bay councillors who turned up left after mid-morning coffee. The proposed developments in Herne Bay will increase the population by between a quarter and a third. This didn’t seem to bother anyone, as each development was examined in individually. The only time the developments were viewed as a whole was in the context of the traffic that is expected to flow south from Herne Bay, through the existing bottleneck in Herne (also Kent’s only “black route”, i.e. highly accident-prone zone), and on to the bottleneck at Sturry. KCC say this route is very nearly at capacity – their figures tell them that it can only take an extra 61 journeys a day each way. Yes, 61. KCC were criticised for unveiling these stats on road usage in today’s meeting, having failed to reveal them to interested parties at any stage over the last 18 months. CCC were criticised for moving the goalposts. Originally, the S106/CIL contributions from the development sites in Herne and Herne Bay were ear-marked for the proposed Herne Relief Road and the Sturry Relief Road. CCC have since (I don’t know how recently) decided that the Sturry crossing will be paid for from the Sturry and Hersden developments. At today’s prices, and assuming the current cost estimate is not exceeded (hah!) this equates to about £35,000 per dwelling, and that leaves no spare funds for the other, more usual, requirements of education, medical, leisure facilities and so on. The developers regarded this as unworkable. There was no mention of how the S106/CIL raised in Herne Bay would be spent. The Herne Bay developments are now effectively hostage to the Sturry Relief Road/Bridge. Without Sturry being resolved, KCC will only permit the building of new houses if nobody moves into them – because the road network is within 61 daily return journeys of capacity. If/when Sturry is sorted out, the next problem is the bottleneck in Herne. The developer is proposing to build the Herne Relief Road in stages, to accompany the 70-100 dwellings a year they propose to build, working inwards from either end of their development simultaneously. It will only be when their development is complete, and the two ends of road join up in the middle, that there will be a usable through road. What could possibly go wrong? [searches in vain for an emoticon to represent puking with rage] If the word “developers” had been replaced with the word “residents” over the last few years, our little corner of the world would be a better place. 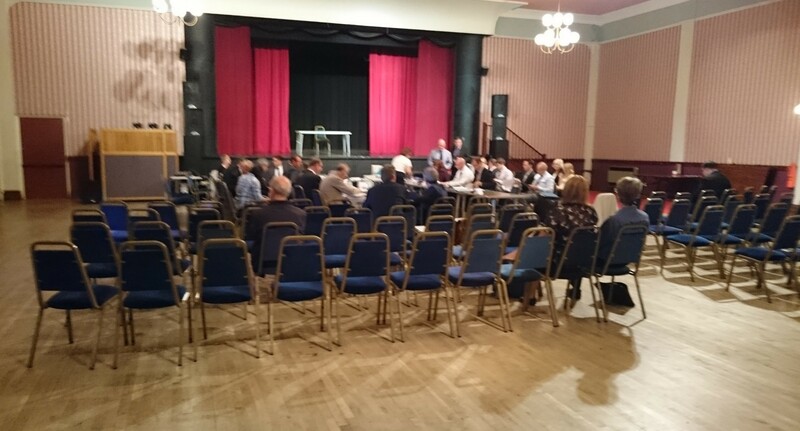 Previous Local Plan Inquiry – in Herne Bay for one day ONLY! I have just found this blog… it’s a bitter sweet experience. While it’s great to connect with all things HB, I am annoyed that I missed the CCC’s consultation on future developments within the Bay. It would seem that potential ‘developers’ have been considered, but local attendance at the meeting was dire. While potential investment is much appreciated in this area, every representative needs to be included in this community-wide discussion.